Back into it!! For the 65th instalment in the ongoing 9mm quick fire author interview series here on Crime Watch, I’m featuring the pseudonym-ed writer behind the intriguingly entitled FURT BENT FROM ALDAHEIT, one of books long-listed for the 2012 Ngaio Marsh Award for Best Crime Novel. Geoff Vause (aka Jack Eden) has worked with words for most of his life: after a long career producing and editing daily and community newspapers, he served as private secretary to New Zealand Minister of Civil Defence John Carter, then as editor of the New Zealand Education Gazette and the New Zealand Education Review. Vause has said he has met many colourful characters throughout his life, particularly when working as a journalist and covering the courts and local body politics. Real-life encounters have inspired some of his novels, including FURT BENT FROM ALDAHEIT (inspired by a story he did as a cadet journalist about a farmer perhaps wrongly convicted of murder, Arthur Allan Thomas, and a subsequent visit from the Police – Thomas eventually received a Royal Pardon) and JETSAM’S CARESS (inspired by encounters with ‘Vietnam War draft dodgers’ in the Far North). Along with writing novels, Vause is currently a sub-editor with Fairfax Media, one of the largest media companies in this part of the world. You can read the full piece in The Rap Sheet here. 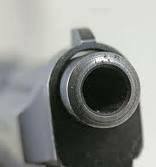 In the meantime, however, Geoff Vause stares down the barrel of 9mm. Swallows and Amazons, by Arthur Ransom. It was read to me by my mother and captured my imagination through what appeared to be almost unbridled freedom the young characters had. Adults made brief cameo appearances – it was a world of the children’s making. Trade Me-The Novel (trashy but funny novella, optioned for a TV series, published in 2006); Blackhat (online scammers, sequel to TM-The Novel, unpublished); Jetsam’s Caress (novel, based on Vietnam War draft dodgers hiding in the Hokianga, accepted by Lorain Day at HarperCollins but turned down by their marketing people, published as e-book 2010); 36 Questions (twin self-help books published 2008, features Frank Habicht photography); 36 Questions (as a novel, set in London, unpublished); Vagabond Skies (drama, NZ setting, unpublished); Nangala (novel, drama, set in Hobart, unpublished). I have had many articles on education published, and a number of opinion columns on inquisitorial justice. My short stories include Make Me Over (a TV makeover show comedy); Dork and Dirk (a supernatural drama) and Psychobabble (a comedy). I have had a number of songs recorded including Lazy Boy (Drekster); Empty Buildings, Golden Boy, Limousine (Sample Roast). My first passion is writing. Long distance and coastal sailing is also a favourite, and I am one of those strange men who loves to shop with his woman. I also enjoy playing drums, bass and guitar, especially with underground musicians. Summer golf at Wellington’s peculiar Makara nine-hole golf course. It’s a strange and quirky experience. Nangala. It’s the closest I’ve come to feeling deeply satisfied with the work. I was excited when Sensing Murder director Geoff Husson approached me for the option to make a TV series of Trade Me-The Novel, because I seek a ‘filmic’ experience for my readers through pace, characterisation and imagery. Unexpectedly seeing Furt Bent from Aldaheit on the new release table at Whitcoulls in Queen Street was also a buzz, seeing Jack Eden sitting there with Jodi Picoult and Lee Child. Having a reader ask me if I was Collier, the industrial spy lead character in Trade Me-The Novel. That was most odd. Thank you Geoff Vause. We appreciate you taking the time to talk with Crime Watch. Have you read any of Vause/Eden's work? 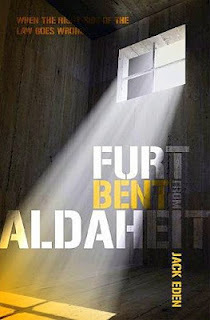 Does the story of FURT BENT FROM ALDAHEIT intrigue you? Are you a fan of 'ripped from the headlines' novels? Comments welcome. An adventure story about a teen with a thirst for the dark side. Its not often you get this blend of good guy rebel who deep down is just doing this all for fun. But its so bad. Said this before. Would suit boys at High School because it has a moral, you can have everything materially, but there's just some things money can't buy. Talent is one of them, and the other is, the girl of your dreams.